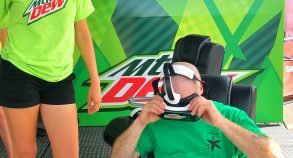 Mountain Dew has been a pioneer in providing new immersive experiences to consumers through the use of virtual reality and 360-video in brand-related promotions. 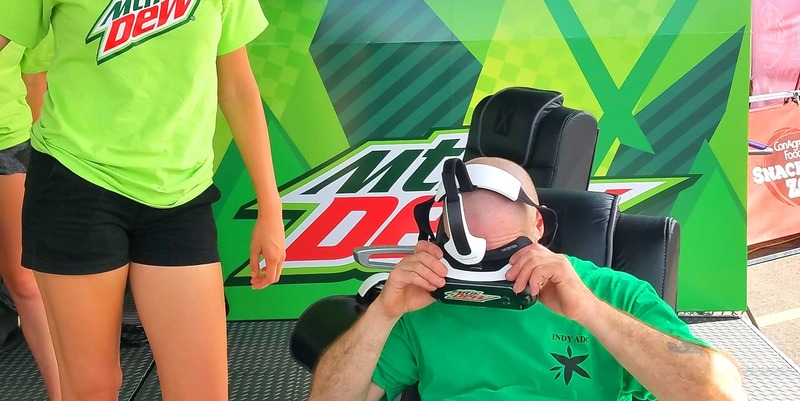 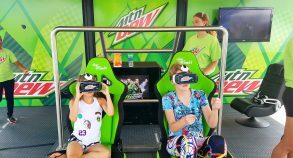 The Nascar Virtual Reality Experience which was part of the DEWcision campaign, enabled fans to choose their preferred flavor between two new Mountain Dew soft drinks. 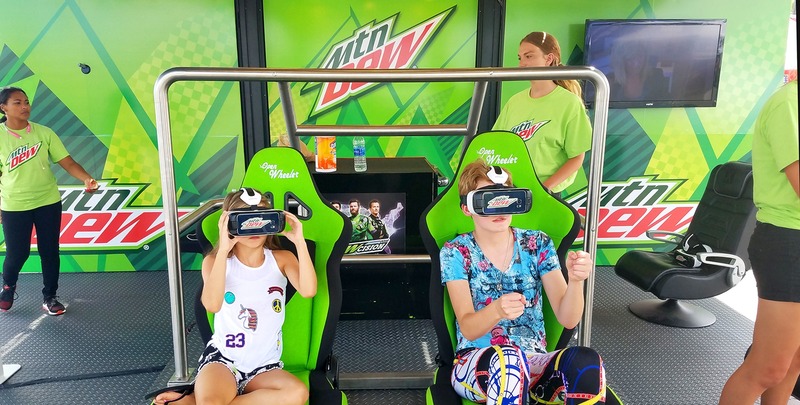 During this innovative and creative campaign, fans got to experience the thrill of riding on a Nascar circuit at 100mph with race driver Dale Earnhardt Jr, using a VR headset. 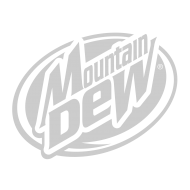 The vote for their favorite soft drink flavor was registered depending on which path the fan chose, either a Californian beach or desert. 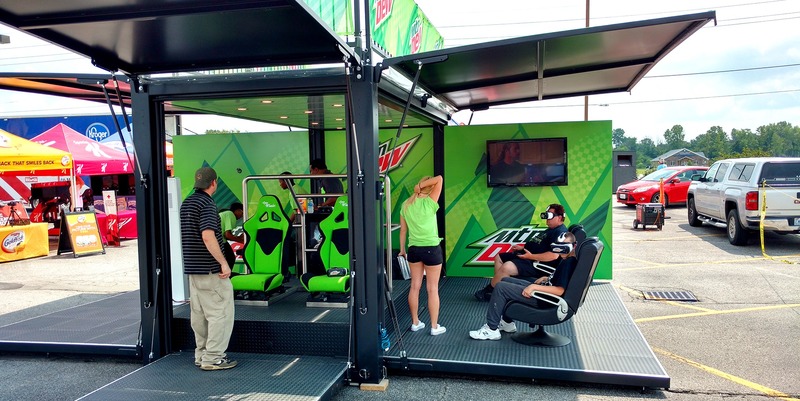 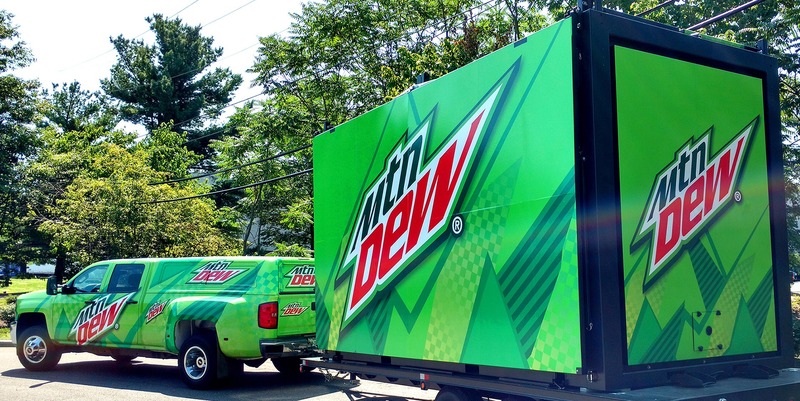 An easy to use, customizable and cost-effective SSLITE 16 unit was selected by Mountain Dew for their experiential marketing tour. 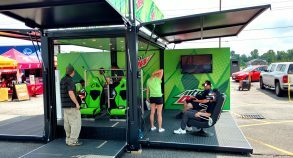 SSLITE 16 is the perfect innovative platform for this kind of event: it requires minimal resources for onsite deployment and its lightweight and modular design make it easy to maneuver and quick to set up. 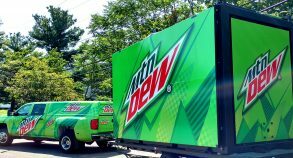 The unit engenders low transportation costs and has little environmental impact, which is ideal for experiential marketing tours.